1 December 2014, Geneva (Ilinois, USA). One in two men deals with excessive hair loss at some point during their life. But why is that? What are the different types of hair loss and what can be done about it? Three short, animated films explain everything. The International Society of Hair Restoration Surgery (ISHRS) wants to draw attention to the problem of hair loss and present possible solutions with these YouTube clips. 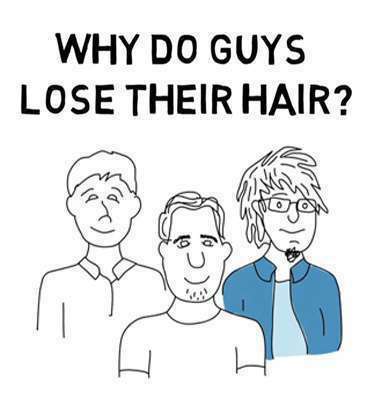 They star Bill, John and Pete, three men confronted with different kinds of hair loss at different times in their lives, from genetic hair loss to the loss of hair due to outside influences (e.g., accidents).